Full full-size PDF version of the program, click here. For the official conference website, click here. 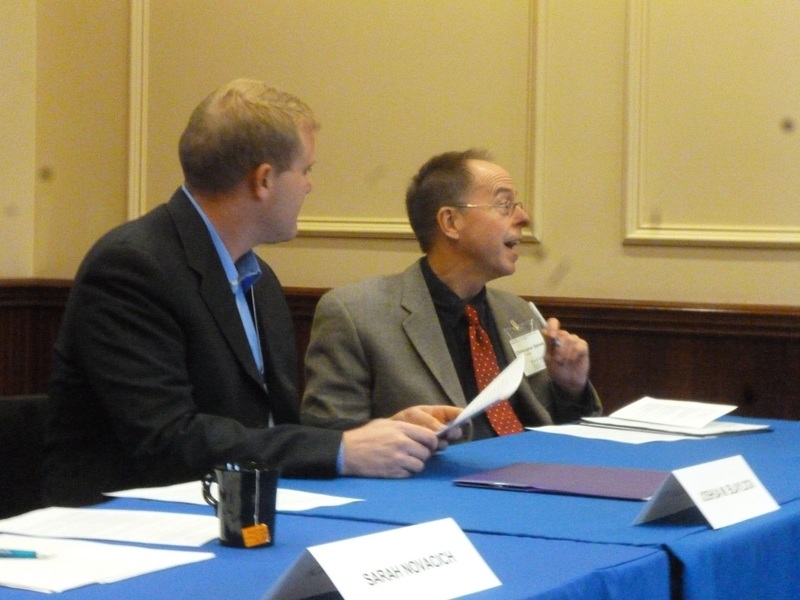 Photos from "The Future and the Unknown"
The conference was a great success, with 27 speakers and 80 other audience members. Below are a few photos of the events. Part of the audience in Held auditorium. 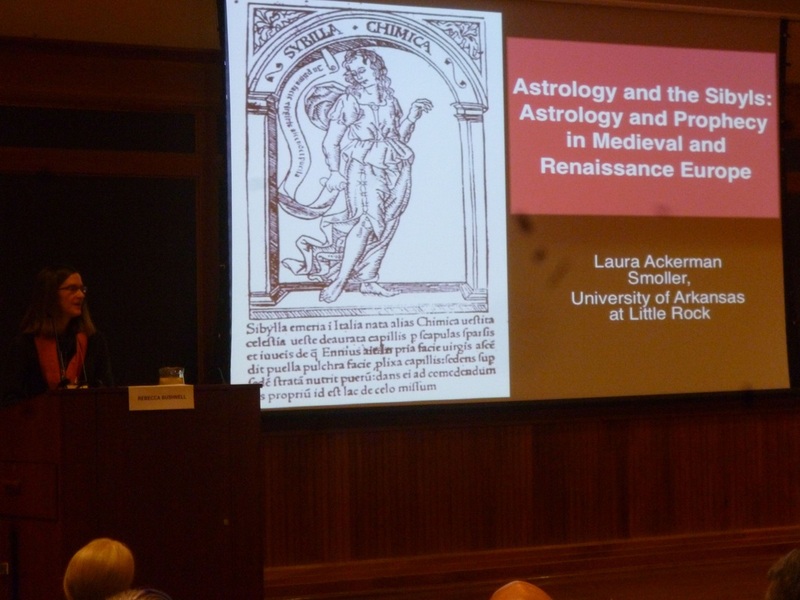 Professor Laura Ackerman Smoller delivering a plenary lecture on "Astrology and the Sibyls: Astrology and Prophecy in Medieval and Renaissance Europe." 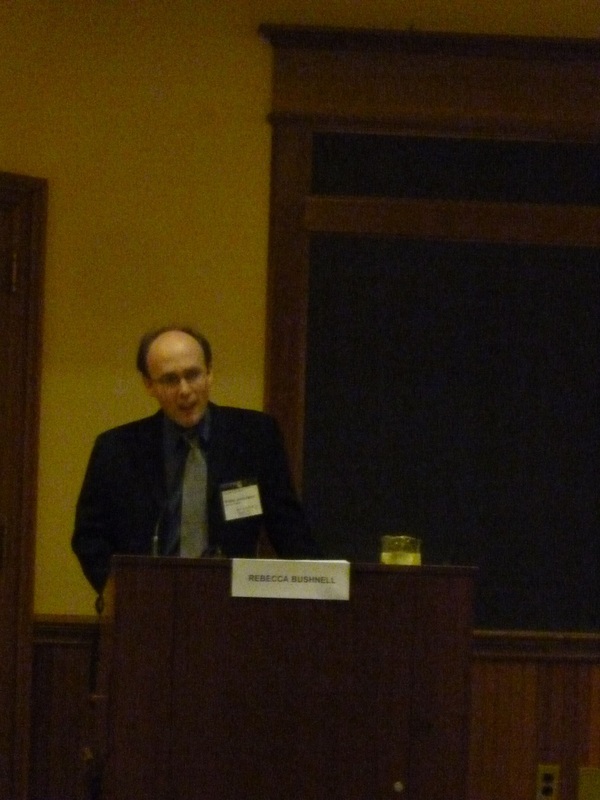 Professor Christopher Baswell chairing a panel on "Transmitting the Unknown," with speaker Joshua M. Blaylock looking on. 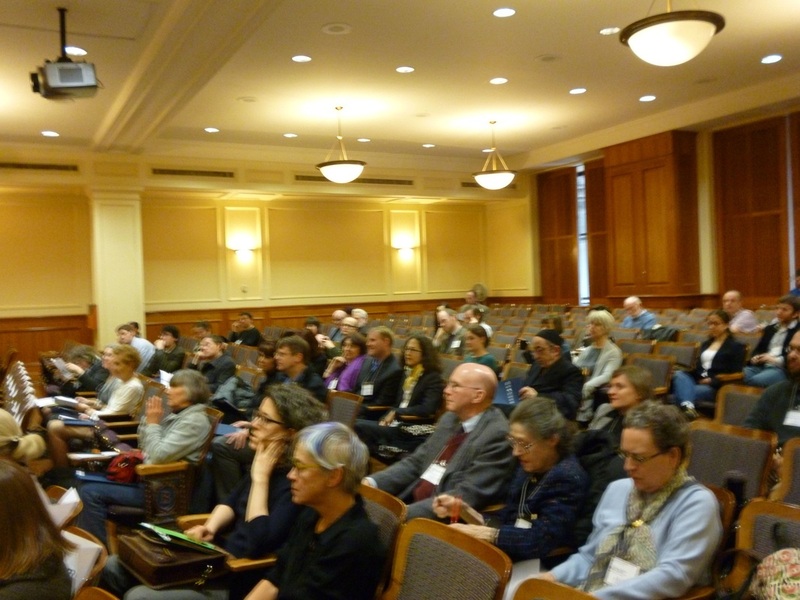 Photos taken by Elizabeth Kirby, (c) Barnard College Medieval and Renaissance Conference 2012. Professor Rebecca Bushnell delivering a plenary lecture "The Ignorant Present and the Future in an Instant: Time, Tragedy, and the Language of Prophecy." 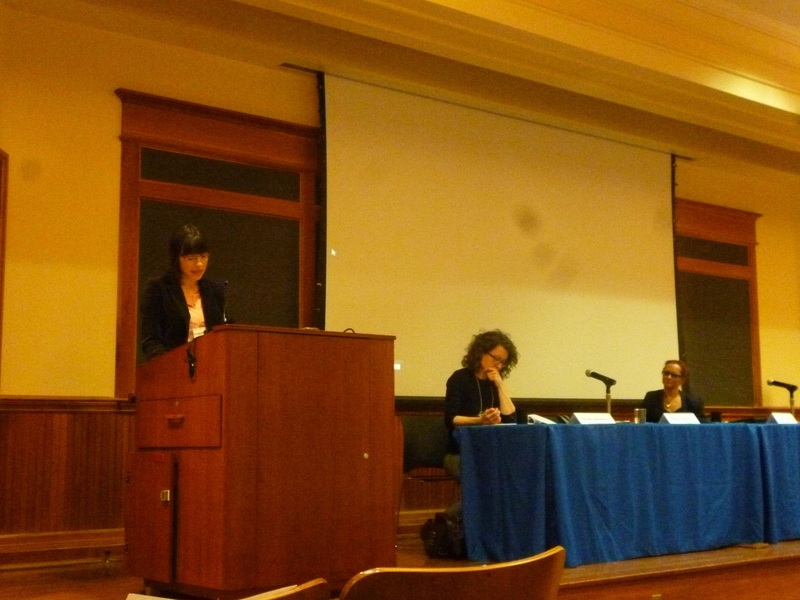 Professor Rachel Eisendrath chairing a panel about "The Unknown Region of Hell."